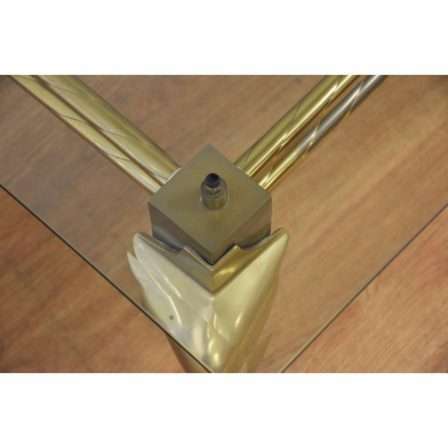 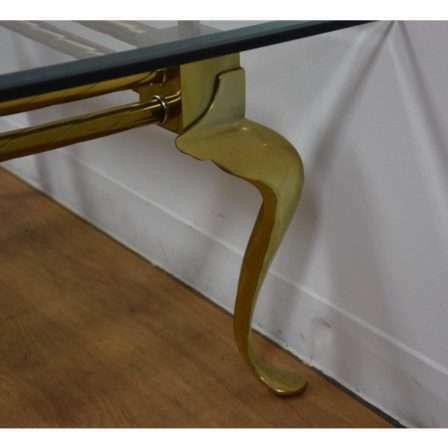 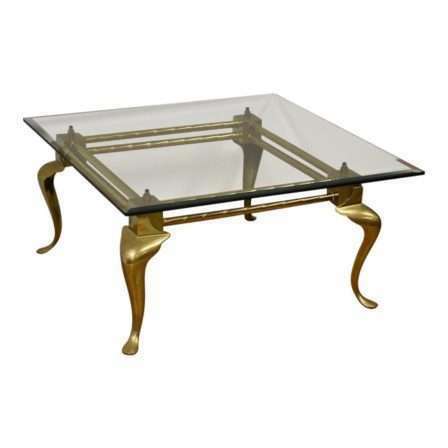 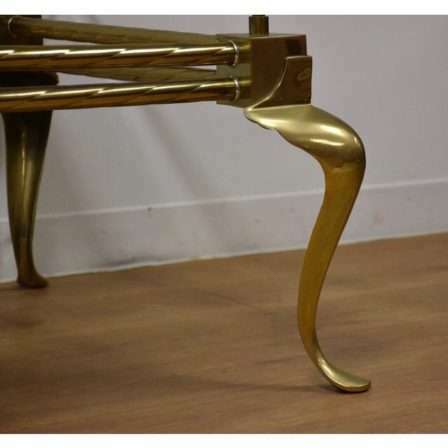 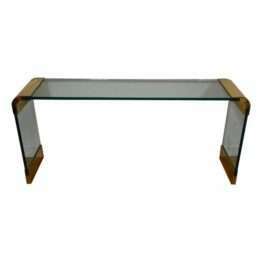 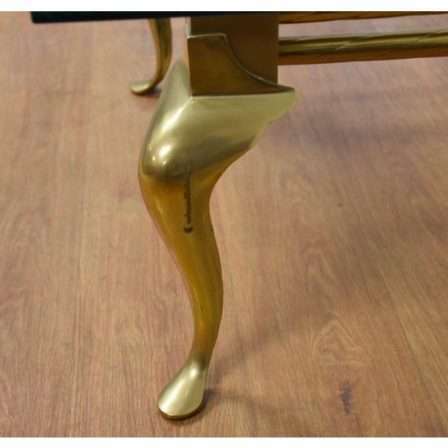 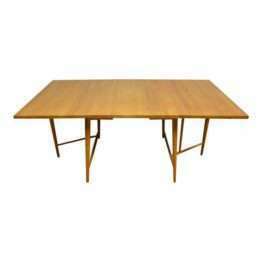 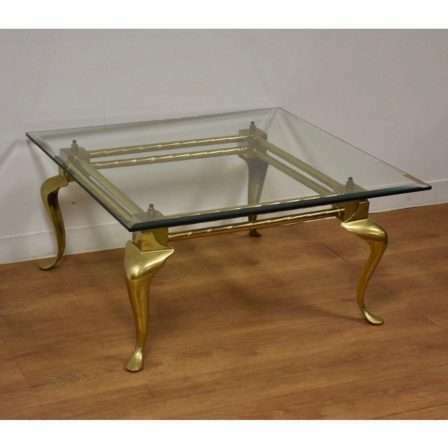 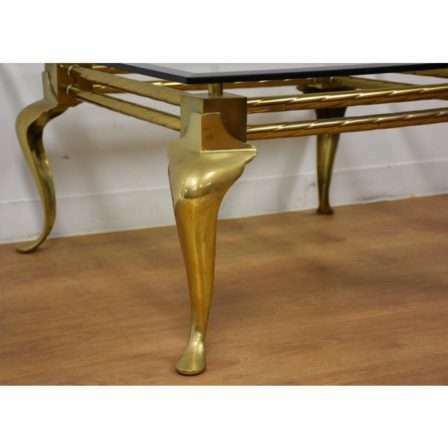 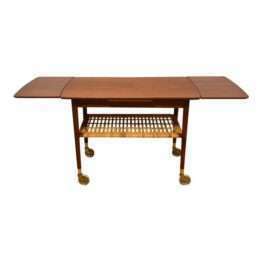 Description:A modern brass coffee table with cabriole legs and a square beveled glass top. 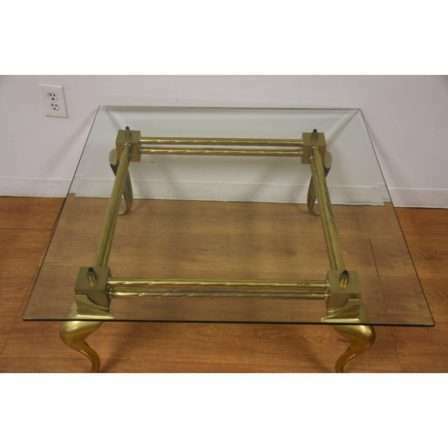 This would look perfect with any brass Mastercraft or Hollywood regency style furniture. 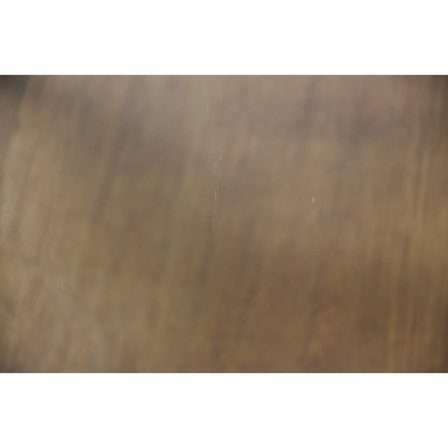 36” wide. 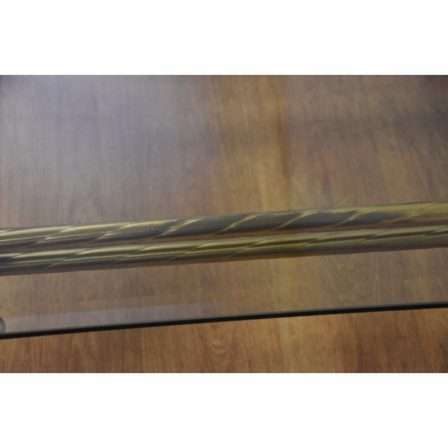 36” deep. 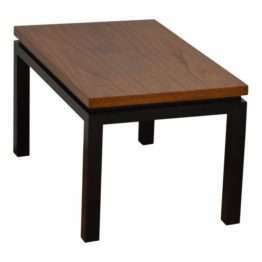 17.5” tall.